Nate Silver is the author of The Signal and the Noise: Why So Many Predictions Fail—But Some Don’t. 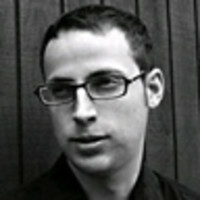 He is a statistician, writer, and founder of the New York Times political blog FiveThirtyEight.com. Silver also developed PECOTA, a system for forecasting baseball performance that was bought by Baseball Prospectus. He was named one of the world’s 100 Most Influential People by Time magazine. He lives in Brooklyn, New York.